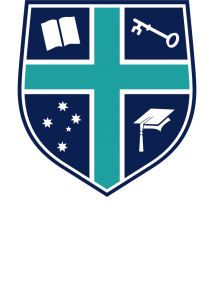 Hope Christian College offers specialist Music Teachers for Reception to Year 12. 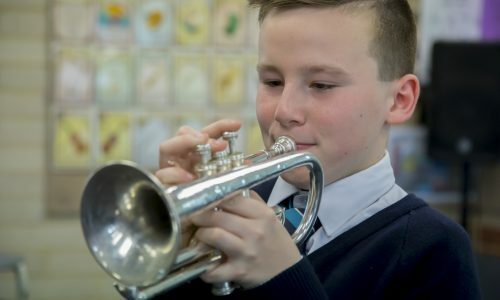 We also provide an instrumental music programme offering opportunities for students to learn piano, guitar, woodwind and brass instruments (such as saxophone and trumpet), violin, cello, and singing. All of our Year 3 to Year 5 students develop valuable skills through participation in our biannual Junior School Musical Productions. 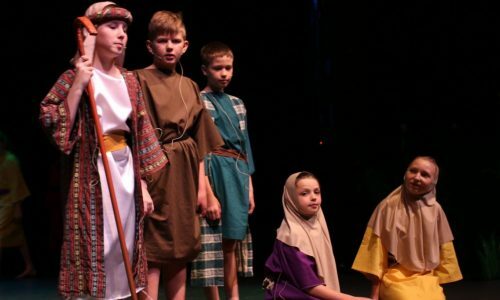 Our sold-out performances in the Shedley Theatre are a testament to the young children’s talent, hard work and ability to exceed their own expectations. Middle School Choir is coordinated as a part of the Vertical Learning Program for students in years 6-9. 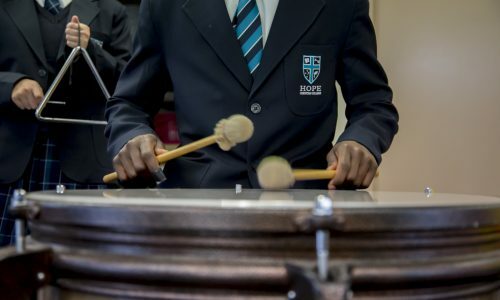 Students are enabled to harness existing skills, challenge themselves by being involved in a two or three part vocal ensemble and explore the creativity they possess. Each term, we study a range of vocal techniques, the structure of the human voice, and usually complete three pieces, performing these in chapels and other public forums. Students are permitted to attend choir throughout the year, or explore other programs on offer. Overall, Middle School Choir provides students with the opportunity to not only sing but explore the wonderful world of music that God has created for our enjoyment. Students undertaking music studies participate in either the Senior Vocal or Instrumental ensemble as part of their course. The Vocal Ensemble regularly performs both onsite and offsite. The ensemble is a co-curricular activity that rehearses weekly during lunch time. 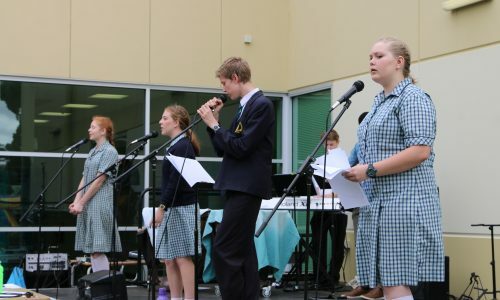 A highlight of the ensemble calendar is the annual Balaklava Eisteddfod. The repertoire includes a variety of pieces for performance ranging from contemporary mainstream pop to traditional spiritual and worship songs. The Instrumental ensemble rehearses weekly during music lessons and performs at school functions as well as by request in public events.